Using deadbolt locks is a great way to secure your home or business. If you need to install, repair, or replace deadbolt locks, you should give us a call at 858 Locksmiths. We have been installing, repairing and replacing these deadbolt locks for home and business owners in San Diego, CA and surrounding areas for many years. We are a complete locksmith service. We can install and repair any type of lock you need. We use only the highest quality locks and the latest high-tech tools. This makes taking care of your locks fast and easy. We also have the most affordable prices in the industry. When you are looking for the most complete locksmith service, we’re the company you need to call. Our honesty, professionalism, and skill make us one of the best loved locksmiths in the region. We focus on making sure the customer has the right locks for their needs. We can come in, assess your needs, and recommend locks for your home or business. We’re very familiar with San Diego, CA and surrounding areas and can guarantee a 30 min response time. Don’t trust the safety and security of your home or business to amateurs. 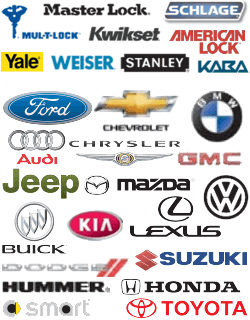 We use only expert technician to handle your repair or installation needs. We are mobile locksmiths. We will come to your home or business anytime you need us and install, repair, or replace any type of lock you need. Our work trucks are fully stocked with all the tools and equipment necessary to do the job right. No matter where in San Diego CA and surrounding areas you live or do business, we can be there in a matter of minutes. In fact, we guarantee a 30 min response time on all calls. Once there, our expert technicians will provide you with complete locksmith service. They will not leave until you are satisfied the job has been done right and you are happy with our service. We hire only the best locksmiths. We then constantly update their skills so they are prepared to handle any type of lock you may have. Lock technology is changing every day. The new high-tech locks require special tools and equipment to install and repair them. Our on-going training program ensures our technicians are prepared to handle any type of lock you have or need. Plus all of our locksmiths are licensed bonded and insured and have 5+ years experience. They are also courteous, prompt, and professional and provide fast and friendly service. They can handle the installation, repair, or replacement of any type of deadbolt locks. Problems with your deadbolt locks can happen at any time. But we are always available to help. We have expert technicians that are licensed, bonded and insured and have 5+ years experience that can come to your home or business day or night to handle any type of problem you may be having with your deadbolt locks. Our up front pricing means you will know what the job will cost before the technician starts to work. Plus our service is excellent and our prices are affordable. Any time you need emergency locksmith service we are the company to call. To many people price is a barrier which prevents them from getting the best locksmith service possible. At 858 Locksmith we have eliminated that problem. Along with our up front pricing policy, we also offer the best prices in the industry. Our services are affordable on just about any budget. If price is a concern, call us. We will give you a price quote for our quality locksmith service that’s so low it may surprise you. Plus no job is too big or too small. We will be happy to meet your commercial or residential locksmith needs and offer you a great price whether the problem is with one lock or hundreds of them. Do you need deadbolt locks installed, repaired, or replaced? 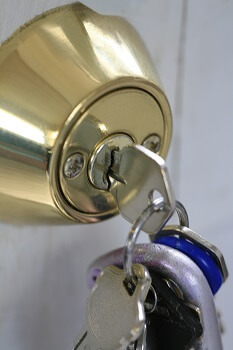 Call 858 Locksmith for our 24/7 locksmith service. We offer up front pricing, fast and friendly service by licensed bonded and insured locksmiths, and the lowest price in the industry for the highest quality work. Call us today. Deadbolt Locks https://858locksmith.com/deadbolt-locks/ 3.7/5 based upon 7 reviews.